Click or press TAB to move on to the next passage. When you laugh, the game is over. This is version 2.0 of my prose poem zurnāpā, inspired by a dream. This version has the new minimalist WebGL player, title screen, stylish and legible font, and sound effects. 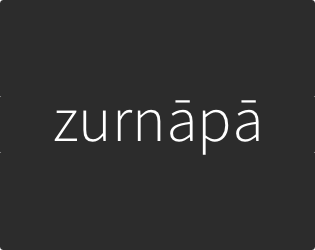 You can support zurnāpā directly by purchasing a downloadable version or contributing via PayPal by clicking "Support This Poem" above. If you'd like to be a part of the creative process and help me survive, you can become my Patron! ♥ Thank you for playing!